1,388 deeded ac. adjoining national forest 250 irrigated ac., 1.5 miles of creek, & 2 ponds Excellent elk & trophy mule deer hunting Ranch house, managers house, bunkhouse, barn, corrals, & outbuildings 40 minutes from Steamboat Springs & 1 hour from VailOne of Colorados best-kept secrets is the Upper Yampa River valley southwest of Steamboat Springs. Here, classic Western vistas sweep over lush grasslands that rise to the snow-fringed Little Flat Tops, which nourish this valley with abundant water. In the heart of all this magnificent scenery lies the Broken Bone Ranch, 1388 acres strong, and which embodies the best of this secluded valley. 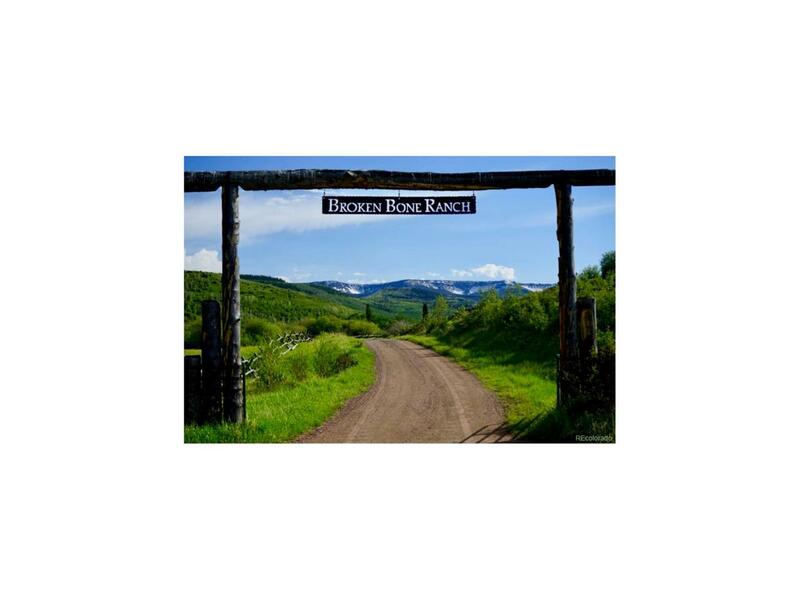 At Broken Bone Ranch, big game hunting, trout fishing and agricultural production create a property laden with possibilities as broad as the skies of northwestern Colorado.